Inter legend Diego MILITO is the focus of this week’s Argentina Throwback Thursday as we look at his only multi-goal performance in a sky blue and white shirt. Both of MILITO’s goals came in the first 9 minutes of the match. Diego scored in the 5th minute before Ernesto CHEVANTON equalized for Uruguay and MILITO made it 2-1 in the 9th minute. 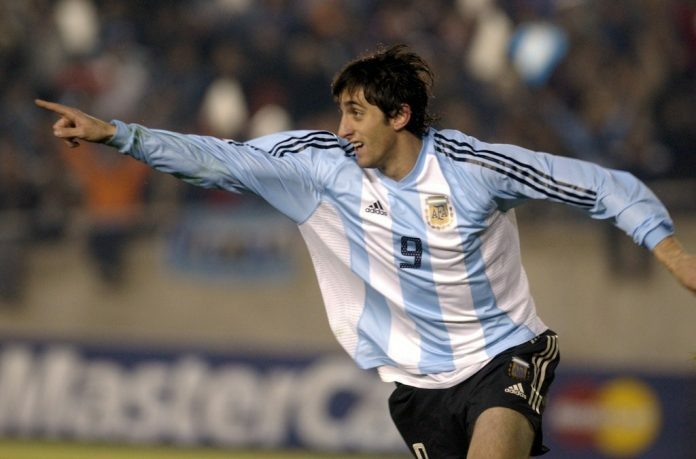 Diego MILITO’s brother, Gabriel, scored an own goal which lead to Uruguay equalizing. MILITO scored a total of 4 goals in his Argentina career in 25 matches. Last week’s Argentina Throwback Thursday saw Argentina dominating Chile in a 2002 FIFA World Cup Qualifier.